I’m Ed Smith, a Sacramento motorcycle accident attorney. A hit and run occurred on July 17 along the Cap City Freeway in South Sacramento that involved a motorcyclist and motorist. The motorcycle rider was reported as having been injured in the collision, and paramedics were called to the scene to make a medical assessment and provide help. It is unknown at this time how serious those injuries were or whether the rider was taken to a local hospital for further evaluation and treatment. According to a report by the California Highway Patrol (CHP), the accident happened along the freeway just north of the J Street exit ramp a few minutes before 4:00 in the afternoon. This is when the motorcycle rider, on a Kawasaki sport-style motorcycle, was involved in an accident with a Toyota Sienna. The rider ended up in the center divide, and the motorcycle was removed from the roadway, which helped avoid creating a traffic hazard. No further information on the collision has been released at this point, and it is unknown whether the fleeing motorist was apprehended. Pay Attention to what is going on around you: It is important for bikers to look around and assess other vehicular movement. For instance, look to see if other vehicles have their turn signals on or if their tire placement indicates that they are about to change lanes. The angle of the wheels can provide information about the vehicle’s next move. Many bikers are injured when another vehicle turns unexpectedly in front of them. Drive as if you are invisible: Bikers know that they are often treated as if they are not on the road by other motorists. Make sure to avoid driving in another vehicle’s blind spot. Also, don’t assume that a vehicle that is backing up can see you. This can help avoid accidents and serious injuries. Make room for merging vehicles: When another motorist is trying to merge in your lane, let them and give them plenty of room. Use your mirrors: Motorcyclists need to pay attention to what is happening behind them. For instance, a car that is speeding behind you may not be able to stop in time. Move toward the side of the road if possible, so you are ready to get out of the way quickly. Check out the road: Keep an eye out for debris in the road or damage to the road’s surface. Hitting either one can result in the bike becoming unstable and initiating an accident. I’m Ed Smith, a Sacramento motorcycle accident lawyer. 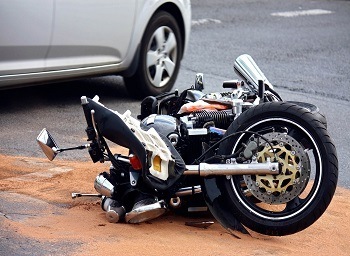 Bikers can be seriously injured in a motorcycle accident, particularly those precipitated by a negligent motorist. When that happens, you need the services of an experienced attorney. Call me at (916) 921-6400 or (800) 404-5400 for free and friendly advice. You can contact me online too if that is easier for you. 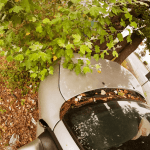 I’ve helped countless residents of Sacramento and throughout the Northern California cities to get the compensation they deserve in a variety of accident injuries, including traumatic brain injury. I belong to the Million Dollar Advocates, a nationwide forum of trial attorneys who have negotiated a settlement or won a verdict for a client in excess of $1 million.